At the end of a long and much-loved life, sometimes the gift of a peaceful end is the last thing you can do for your pet. If every day is an impossible struggle and nothing can be done, caring and gentle in-home pet euthanasia can present a way to let them free from suffering. Because it happens in the place where they have felt most comfortable and happiest throughout their life, your home makes the perfect place for them to relax in. They can simply lie down in their bed or somewhere else where they can rest as easily as possible, given their condition. They can be surrounded by all of their toys and other favourite things. And most importantly, you can be present if you wish to be in order to hold their paw and calm them into a relaxing space. 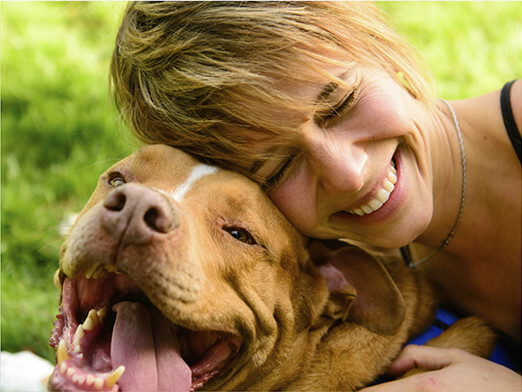 Your Caring home visit vet will visit at the time you have chosen, and be there to guide you through the process. Putting a cat to sleep or putting a dog down will involve two injections. The first simply sends them to sleep. It is a tiny pinprick and the only discomfort which they will feel. There is no need to shave any part of them or do anything else which will disturb them while they are awake. The main injection happens while they are already dreaming, so they will simply drift off into a peaceful final rest. If budget is a concern, please do get in touch with us to talk about the cost of putting a dog to sleep or cat euthanasia costs at any time. At Cloud9Vets you will be speaking to a team of animal lovers who have been in this situation themselves. We understand that while it may be the last thing on your mind, cat or dog euthanasia costs, as well as details about the process itself, will still be a concern. Whatever your situation, we are here to help. Pet pain relief - if chosen correctly and after careful diagnosis - can do much to help your cat or dog maintain a high quality of life. To make sure that you get that correct diagnosis, our highly experienced home visit vets will always be available to visit your pet in their own home. This allows them to consider every aspect of your pet's life, including their environment, diet and the amount of exercise they get in addition to any other conditions which they might be suffering from. Your Vet will be as used to prescribing pain relief for dogs and cats in the form of palliative medicine for your pet's final years as they are to providing treatment for managing permanent or terminal conditions. Once they've visited you and met with your pet they will also be able to recommend any changes to your pet's diet or lifestyle which will help you to manage their condition. You can use us to acquire pain relief for cats or dogs for which you already have a prescription. But we usually prefer for one of our Vets to visit personally to make sure we always prescribe the most effective pet pain relief medication. If you need to know more about getting the right medication or diagnosis for your pet, please do contact us at your convenience. 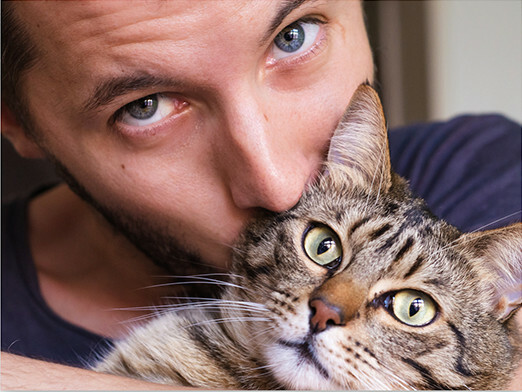 The Cloud9Vets team are all pet owners or former pet owners and will be able to advise you on immediate steps to take as well as to arrange your appointment with one of our Vets at a convenient time. After the final passing of beloved animal members of your family, it can be difficult to know what to do next. As animal lovers ourselves, we understand that grief and a sense of loss can be almost overwhelming at this time. So why not let us take care of what comes next? You can rely on our caring team for gentle and respectful pet cremation at our nearby pet chapel of rest. This chapel is specifically designed to be suitable for all kinds of pets and is an accredited animal cremation facility. Whether you would prefer for your pet to go on alone or as part of a group cat or dog cremation ceremony, we can provide it. The former is usually preferred by people who want the ashes returned to them for spreading, while the latter is often the choice when you want to have the ashes spread in the grounds of the chapel itself. Talk to us about the arrangements you want to make or about pet cremation costs at any time. The understanding team here at Cloud9Vets have been through the loss of beloved animal family members ourselves, so we know something about how you will be feeling. Though they may not have been technically a member of your family, as animal lovers ourselves we know that your pet will have been part of it in all of the ways which matter. So when it comes to the end of their long and deeply loved life, selecting a fitting memorial for your pet is something that many families decide to do. To that end, we have brought together a select range of pet memorials. This means you will not have to spend unhappy time searching the Internet or local shops for suitable items, prompting unfortunate memories to bubble to the surface. Here you will find a variety of different markers and headstones, containers for ashes, and many other thoughtful touches for remembrance. The people who selected these items are current or former pet owners who have been through the process of loss and grief themselves. They have chosen items which they themselves were looking for at this difficult time. If you have specific pet memorial stones or other remembrances in mind and cannot find them amongst our range, please do get in touch with us. We may be able to point you towards the relevant items.